Today is a new day, and we all know this is a new chance, a new story and possibly; a new you. Everyone has their own struggles either it's your studies, your love story or whatever you are up to now-- it's your own battles and fights. I have come to the point that I've becoming used to frustration and rejection. Sometimes, I just couldn't bear any more one. But this time, I just want to stop feeling. The endurance of pain should be stopped in whatever possible ways, just to let the solace and peace come within and eventually heals the broken part. I've seen their happiness and I can't stand that but to have the thought of I'm the most absolute loser among all. I'm started to downgrade myself. What can I do is to stop watching them but to start creating my own happiness. I'm afraid it's from other human being but from myself within. The inner side of me should be loved by the whole me; every pieces of me. I need as well give myself a chance to breathe and stop thinking about others. It's me now, it's my time for myself. 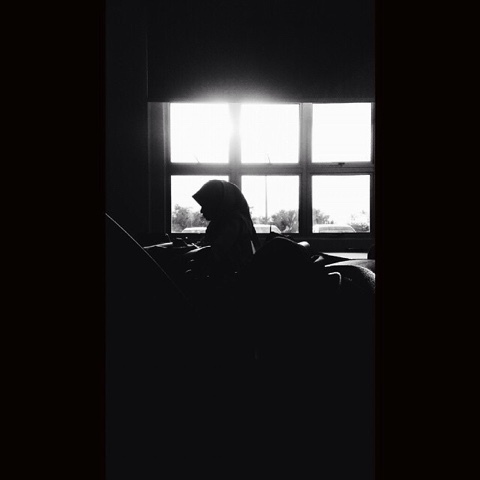 I might sound like an absolute loner, but know that I am not. I appreciate every seconds of my life treasuring what it feels like to do what we got to do. Ignoring how far another human beings have achieved, I shall just focusing on my needs and desires. That's all matters. My goals are waiting to be fulfilled and that's what I'm really going to do. It's better to be rejected for thousands times rather than be with someone wrong. I'm not saying that I have been with wrong person, but I just know I wasn't in the full capacity happiness and I deserve so much more from myself specifically. This is not a sense of greed but simply the way I've taught myself to not giving in so easily. I just--- have nothing to lose now. The real deal now; is me. My career and my dream are most of the times keeping me alive, I know where I am heading to and I definitely will go. It just few more steps now and I'm good to be there. Allah knows how much I've given and He definitely knows what I deserve; as for that I shall not be worry about His giving. Just how much He will give, I just want to be protected under His mercy. I'm tired of people, and I chose to be by my own till the time when 'the most lucky one' comes asking me to merge our journey becoming one. I don't know for how many days more I need to wait, but I know the day will come. The day when I'll finally say; 'this is the best I can get, I'm accepting'. Today that I cried of so many things that changed. And it's massively hurt inside to get detached for all the things that I loved. I cried, knowing someone I know is so far away in distant and nothing would come between us anymore after this, the door is really closing. I don't mad, I just in regret. That I left, and you changed. I told myself; if something in past was not meant to be like how it is now, how would you be? How that would make any differences? I heard everything. I saw everything. Even from distant, I know there's something not right here and there. I saw how the feeling has developed from nothing to something, and now it has occupied entire pieces of you. It has come to the point that you're dominated with feeling you thought is in control, despite it controls you as a whole. You're attaching to something that might ruin you somedays. Like how it was between us, I certainly know how strong the feelings are in you. Thus it's true on how people said that we can't unlove someone or something; it's about replacing it with another new. The initial feeling stays but the object you're in love with that might not be the same. But this time, I'm giving up. You are not the man you used to be, so do I. We are in no way a companion like how we were in past, we are nothing now but two souls that are completely stranger to one another. Let's not meet each other, even in the after-world. Nice is something subjective. Whether you are nice or not, let the people judge it. You might be considered as nice by the person you are nice to. While on the other hand, you might also be considered not nice by the person you are not nice to. Therefore, you shall be nice in certain parts or situations and you shall not be nice in the other parts or situations as well. It after all depends on how comfortable you are in controlling the situations. Sometimes you try to be nice to the person that you do not like. (its all about nice though, you like the person who nice to you, and should you do not like the person who aren't nice to you. ok that's how the term 'what goes around comes around' actually mean) Back to the topic, sometimes in order to make you feel better in being hated, you should do nice to them too, but not too much. Only to the point that it reasonable enough for anyone couldn't call you a foolish person for being nice to someone who hates you. You know, you're doing nice just tp make things look better either through your eyes or anyone's eyes. Meanwhile, you shouldn't (sometimes) be nice to the person who hates you; as part of self-respect. You deserve to be treated better, so why bother being nice to those who aren't (to you) ? It's like you know you won't be appreciated in whatever way it could with that particular person, so don't waste your time being nice to the wrong person. On some other points, certain people would love to be with you in certain situations and certain people might hate to be with you in that particular same situations. It depends. and sometimes, no matter how nice you are to that person, that particular person still doesn't treat it as nice. and sometimes it would be the other way around. And in the end, it'll return to how people see and judge. But know that, none of those are matter to you. Keep your head up, and walk away. It was somewhere on January, when I know it has been weeks not returning home. And Ma was going to have a minor operation that weekend, and there was me so far away in terengganu. 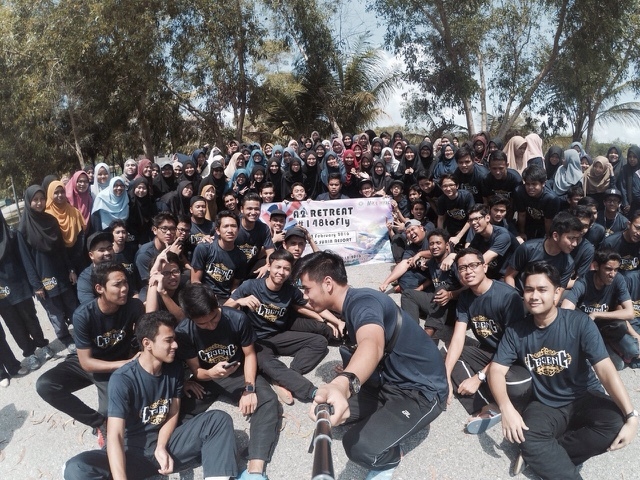 But Allah helped in a way giving me chance to join college trip to Bursa and few others financial institutions in KL. Along that, there was also an invitation from my fellow ex classmates from highschool, they were planning to go to Broga, spending morning there. I was so eager actually, to try new adventurous thing as such, so I told them 'I'm going'. So we planned roughly as that time I know i might not going as I need first to go to the college trip for two days. And if I were going to visit Ma, that'll maybe too rush at home. But, I did it though. I called Bah to fetch me from ktm station that evening after two days in KL, that I went home visiting Ma. Allah blessed, Ma's getting better. That time, I know I wanna go joining them. But Ma refused to allow me, for some reasons. And I was being a very good daughter I've always be ... Ma finally said yes. So basically I didn't enjoy any night at home that night since I need to start the journey to Broga as early as 2.30am as we were in group and for precautions, we knew we should be going early. So I didn't sleep that night, didn't even had chance to pack off my things. But it went so well Alhamdulillah. 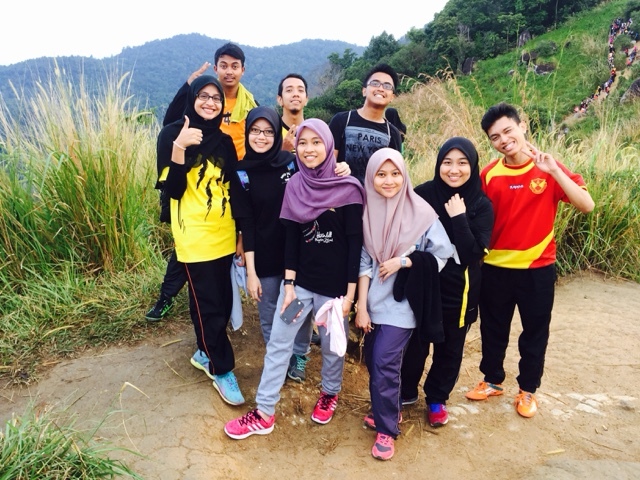 I enjoyed every hours at home, and every seconds on top of Broga with them. Tbh, I never know them very well. By that, I mean I rarely talk to them when we were still in highschool. Specifically, the boys. I kinda hate them before. But now I think, they are all a very good guy and they've grown up now. 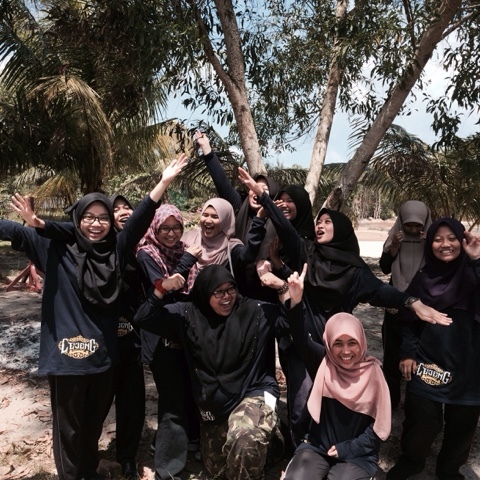 I'm willing to spend even more of my time with them in future, if ever I had this kind of chance again. 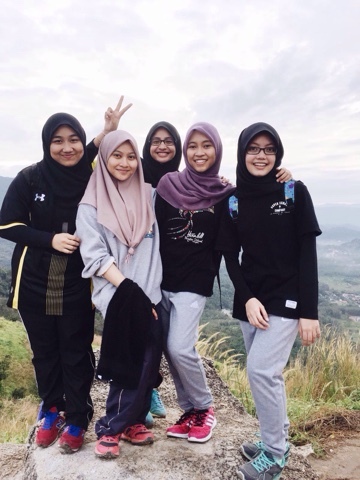 Those faces, who I never had chances to talk before were the one who guides every of my steps climbing up to Broga. They took care of us so well, guiding us of which of which to step on, protecting us from the back while always making sure everyone was there. A very meaningful early morning walk I've ever been, we spent hours talking while walking. Laughing hard on anyone's jokes. And not to forget, to help each other hand in hand so that none of us will be left behind. They were so good, I love that morning indeed. 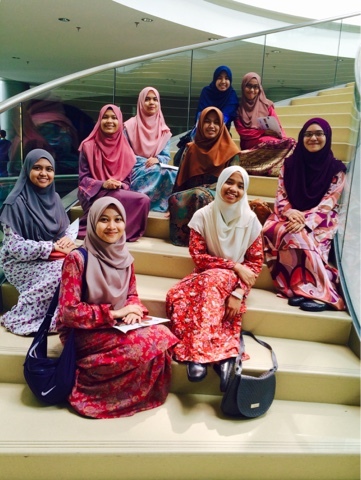 We sometimes talked about how we were in school back then, that was such a meaningful moment. Thank you, friends. I love you guys to the moon and back. Let's have more times together after this. Semoga kalian berjaya, dunia dan akhirat. But the most important part of all is; our wild night. 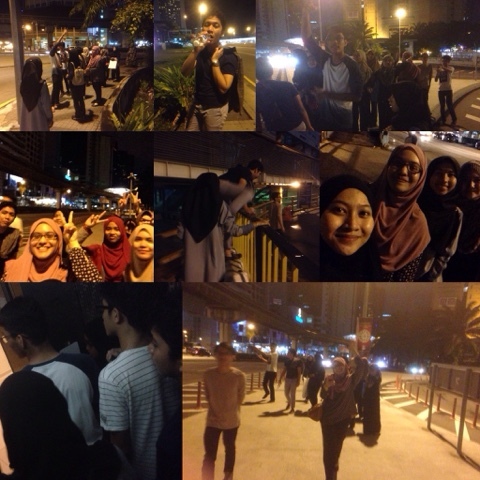 A late night walking with the awesome classmates. 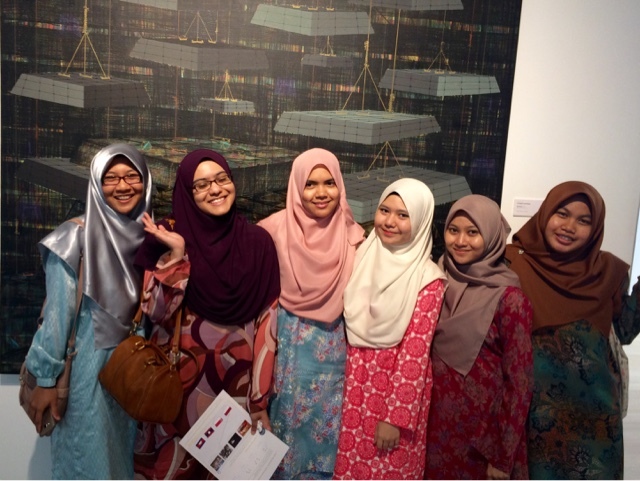 It was a great night; spending hours with a great squad treasuring KL. I feel young, free and wild. Thus, making the night to be too precious to be forgotten. I broke all the rules in being a nice girl; I feel alive! We were the last person leaving the mall, the last person entering the hotel, we went everywhere without maps and directions around KL walking; a very wild night tbh! I know this was going to be the last we did this, together. Hopefully, in Malaysia. Because we are going to have much more nights like this in the UK soon. 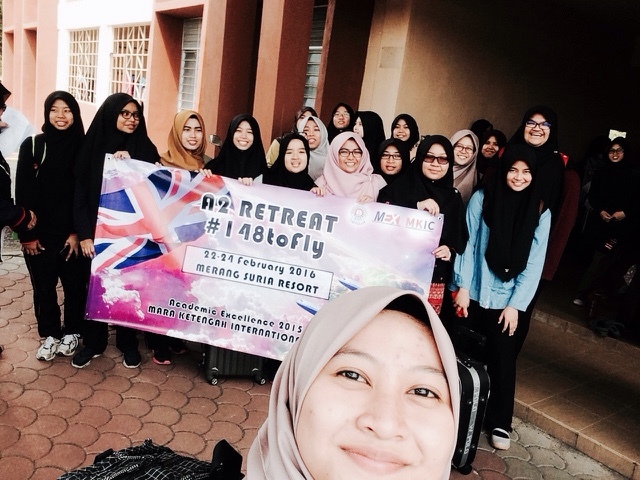 I pray so that each of us will succeed this phase and fly together InsyaAllah. I might being quite cliche this time, but from so many squads I had, them are the most entertaining and I'm not going to replace any of them. May all of us be protected under Allah's mercy.